My measurements: Height: 5'-2" | Bust 34" | Waist 28" | Hips: 36"
Alterations done by Sue's Alterations in Maryville, IL: I ordered a size 8, and the required alterations were: straps taken up about an inch, dress taken out from underarm to top of hips about 3/4" each side (I could zip it but would not have been able to eat! ), length taken up about 3"
Hair: Curled at Treo, pinned myself | Lash Extensions: Salon Whimz | Sunless tanner: St. Tropez | Polish: Sinful Colors "Merlot"
I had no idea what I wanted to do with my hair. I really just wanted it to be down and curled, but there were talks about it getting windy later in the afternoon and I didn't want to have to stress about it falling during photos. So, I decided to do long cascading curls pinned to the side and teased at the crown a bit. It felt pretty loose when I left the salon, so I ended up just completing re-pinning it myself before I got dressed. If you followed along on Snapchat, I apologize for all my scream singing. I always like (and dread) watching my snaps the next day to help remind me of what transpired the evening before. And there was a lot of scream singing that night along with a whole soliloquy about my love for the Cupid Shuffle. Ha! I'm a bit behind on posts for the week - I do have the rehearsal dinner outfit and some other goodies to share with you this week, but I'm skipping my post tomorrow since tonight I will be at the Taylor Swift concert! 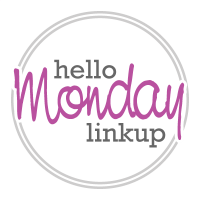 Have a great week!!! 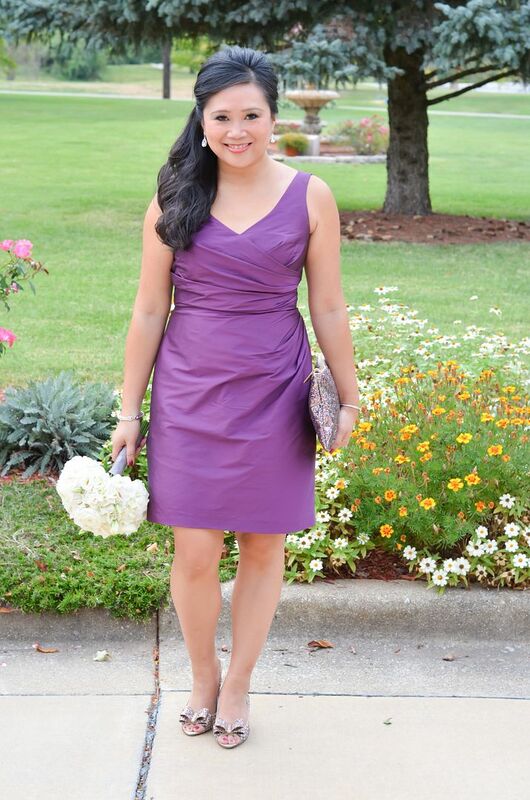 What a lovely bridesmaid dress, and that clutch is a great gift, wonderful you got to wear your matching shoes too! :) Congrats to your cousin on their wedding. Than you for the link up. love the bridesmade dress! love the sparkly details! Lovely dress, oerfect colour! And what a generous bride. STUNNING! I loved seeing these pix on Instagram. 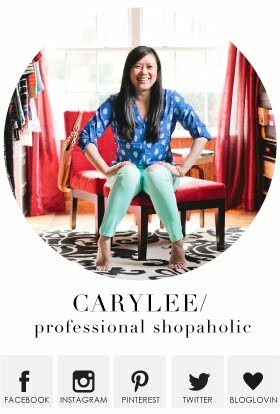 You look drop-dead gorgeous for the wedding, Carylee. This is the type of dress that can be worn to other events, not just as a bridesmaid. I love the color. Your accessories are gorgeous and lovely hair-style, too. Great color of dress and love the shoes and clutch. Have fun at the concert! Oh...my...goodness! Could that color have been any more perfect for you??? The sparkle bag and shoes are perfect. Love it. those KS pieces are so fun! they are the perfect accessory to a bridesmaid dress. The Cupid Shuffle is love! Lol. 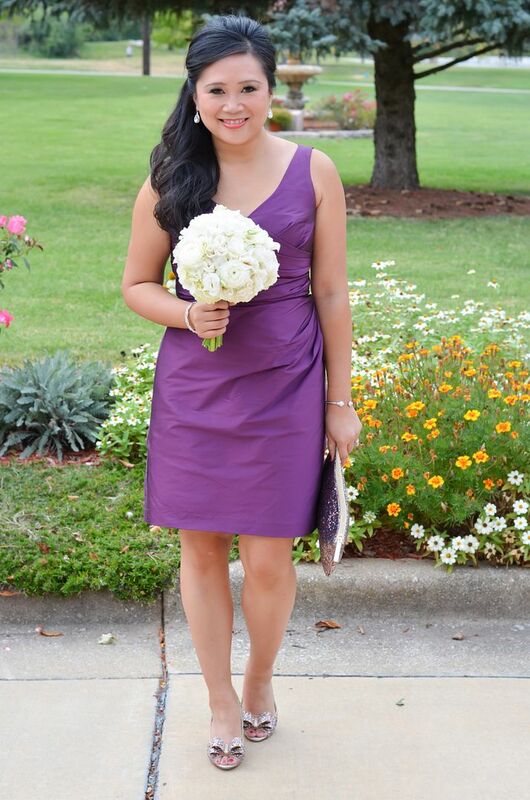 Loveeee the bridesmaid look, so pretty! 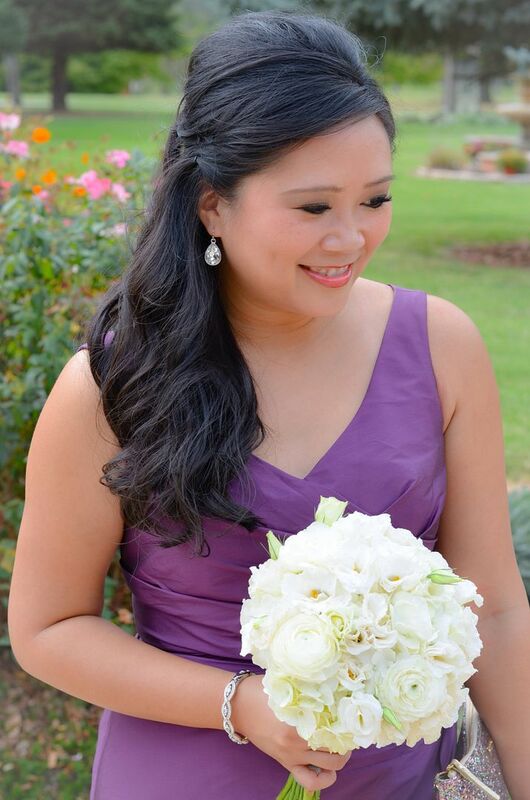 Love the color and style of that bridesmaid dress. 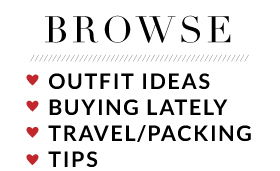 And you could totally wear it again for a non-wedding event. 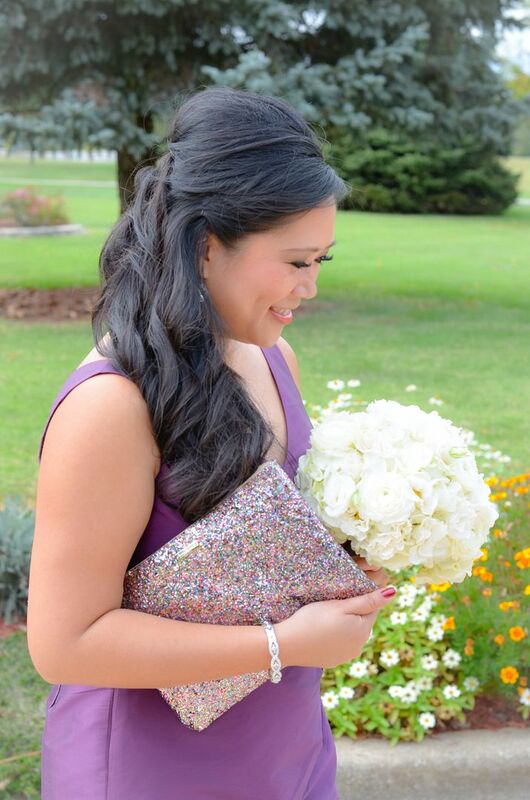 That glitter clutch is gorgeous! I love that clutch! So pretty! You look so gorgeous! I love purple on you, and you did a great job repinning your hair. Sounds like it was a fun wedding. How awesome of the bride to gift you with that amazing bag. I love that it matches your shoes!! Those glittery details made the look more chic! Wow! What a gorgeous dress! You look beautiful in it. 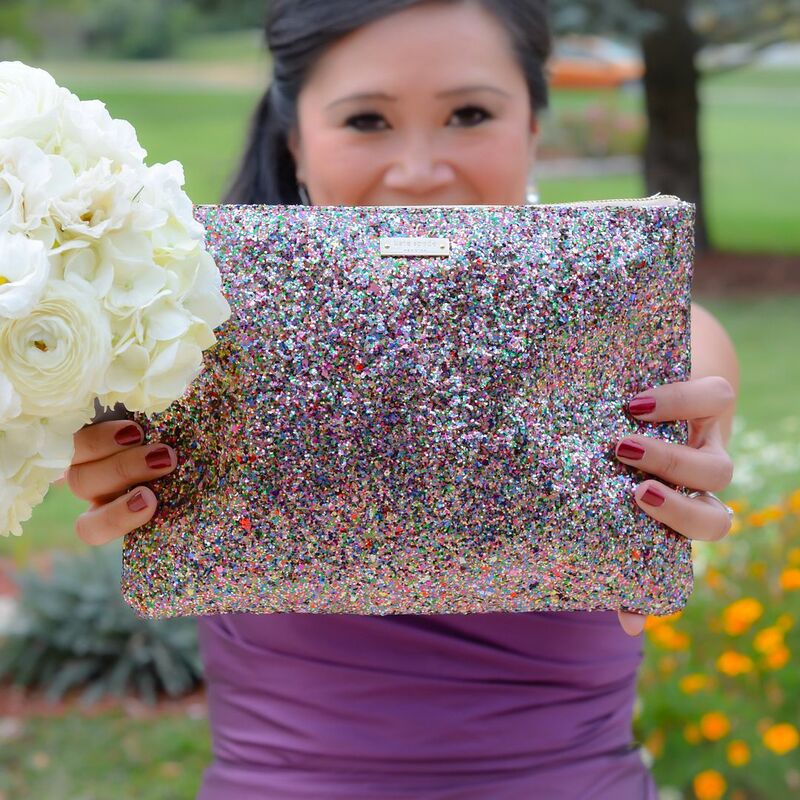 And the glitter purse is such a great gift for bridesmaids. Oh gorgeous, I think that may be the prettiest bridesmaids dress I've seen!! I love your glitter clutch and shoes too, they are so fun. It sounds like a fun wedding! Your look stunning - love how you did your hair. 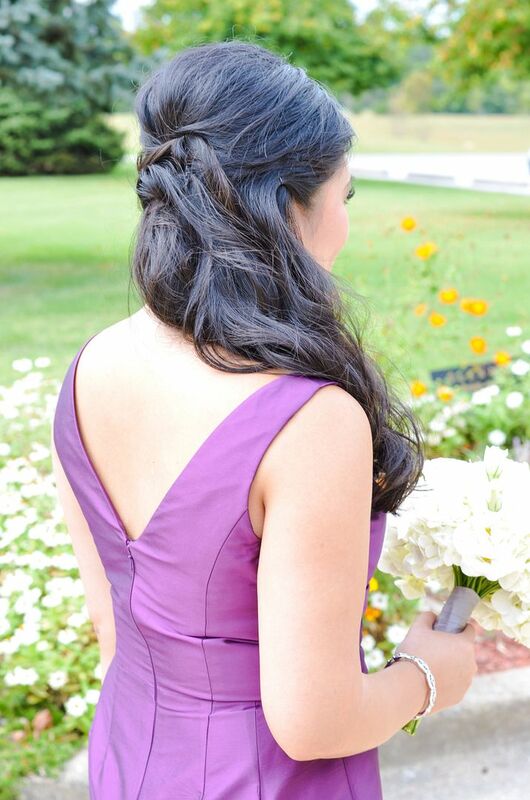 This is literally the perfect bridesmaid dress! So pretty. Based off of your Snaps you had a fabulous time and looked amazing, obviously! You look amazing in that dress! I love the color. You look so lovely in purple, your clutch and heels are the perfect amount of sparkle for the occasion! I loved your snaps! They had me cracking up! That's basically what I do at weddings...sing my heart out and dance (like a moron because I have no skills). I sometimes dread looking back at my snaps too though ( like sitting on my kitchen counter and blabbing about nothing really). I loved your hair! It looked beautiful! You look absolutely beautiful! I love the colour and shape of the dress and that sparkly clutch is unreal. Your snaps from the wedding (beginning after perhaps your 3rd drink?? If I had to wager a guess) were heeeelarrrrious!!!! OMG. My native people do not know how to throw a good wedding party like that! And that shade of purple is really gorgeous! Love those glitter details! So fun! P.S. I'm also now going to be interested to see your blogging schedule for the week considering the concert did not quite go as planned!! You look so pretty! Beautiful color and I love the clutch! That is such a great color on you! I just love the glittery accents, too!